With Thanksgiving behind us, we are officially in the home stretch of the holiday season. As much as we might enjoy spending time with loved ones and the hustle and bustle of the holidays, it can be stressful at times. Here&apos;s a list of 7 nontoxic wellness picks to bring you into the New Year. We&apos;ve all had them — those sudden ash emergencies. Always be prepared with this multi-use, travel-sized all-natural pomade. It can be used on the hair, scalp or skin for a gorgeous glow. All the goodness and benefits of delicious green superfoods in an easy-to-use, multi-use, on-the-go-friendly vegan combo. This mix of spirulina, wheatgrass and chlorella provides essential vitamins and minerals to help you go the distance this holiday season. P.S. It doubles as a beneficial face mask! This highly moisturizing lip tint in a pretty, red berry shade is perfect for keeping winter lips hydrated with long-lasting sheer color. Sometimes you just need to take a time-out from the excitement (and stress!) of the season. Treat yourself to an easy, relaxing aromatherapy experience: Place a few drops on your hands, rub them together to warm the oil, inhale deeply with your hands cupped over your nose and feel your cares slip away. This is an amazing anxiety buster. 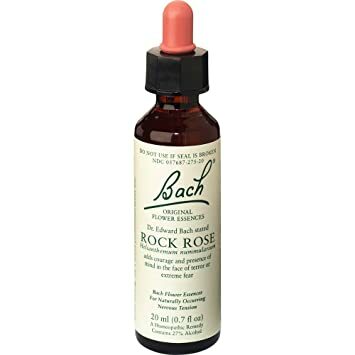 Rock Rose helps you to have presence of mind and the ability to stay calm in emergencies (like when you accidentally burn the sweet potato pie.) Add a few drops to some warm water or take it straight from the bottle for a sense of calm in stressful situations. This multi-use toning beauty mist features a signature Love essential oil blend, aloe vera juice and witch hazel and is infused with the healing power of real rose quartz pieces. Known as the "love stone," rose quartz is said to be a stone that encourages compassion, peace, tenderness and contentment, as well as a love of self, others and beauty. Just what you need this holiday season!